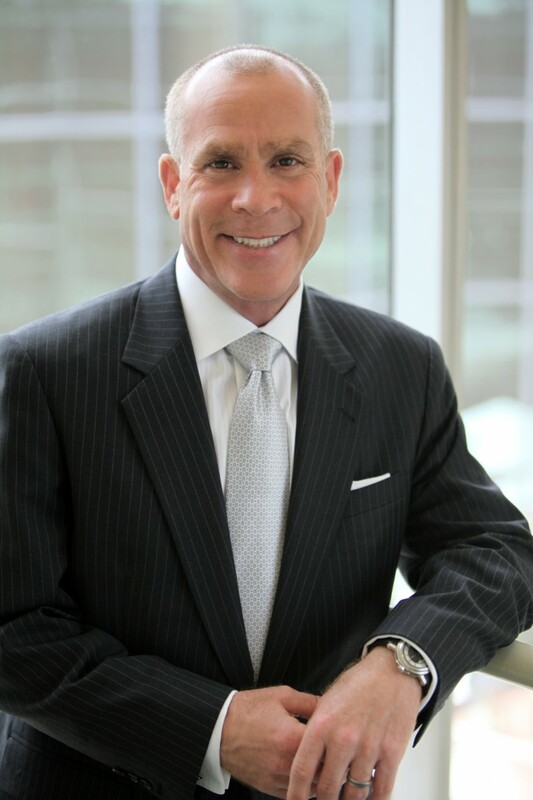 Dr Goldman is a Volunteer Clinical Professor of Dermatology at the University of California in San Diego, Immediate Past-President of the American Society for Dermatologic Surgery (ASDS), and an expert in Sclerotherapy publishing 5 textbooks and dozens of medical papers on varicose and telangiectatic leg veins. In this presentation, he provides us with an update on the treatment of varicose and telangiectatic leg veins. Thirty percent of the population will have varicose and telangiectatic leg veins by age twenty. As we age, the incidence increases, i.e., 80 percent of the population will have varicose and telangiectatic leg veins by age 80. There are many reasons for developing varicose veins. The incidence among men and women is about equal. It is important to remember that up to fifty percent of varicose vein patients will develop DVT, SVT, and/or ulceration in their lifetime. Dr Goldman feels that the more factors you have, the more likely you are to get varicose veins. 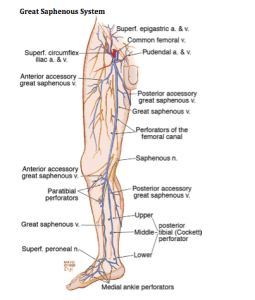 When you look at longitudinal studies of large populations (Bochum Study—Schultz-Ehrenberg, 2004), you will see that the veins start out as spider veins and then gradually, the older you get the more reticular or truncal varicose veins appear. Why do people come to us for their varicose veins? They come primarily not because of symptomatology, but for cosmetic reasons. Most physicians think that veins are just a cosmetic procedure and not a real medical problem, but this is an actual medical condition. In Dr Goldman’s office, even when leg pain is not a presenting concern, it is not uncommon for patients to tell him that their legs feel better after treatment. Why is there pain? There’s pain because the venous hypertension, i.e., veins that you can see on the surface, are actually surrounding and pressing on nerves. Venous reflux can cause varicose veins, skin changes, skin ulcers and swollen legs. This is why dermatology is the specialty that should be treating this condition. In Europe, it’s the dermatologist who is the phlebologist. When treating patients with varicose veins, insurance companies will first ask you if the patient has failed compression stockings—implying that the patients should be wearing these stockings for the rest of their life. If patients are complaining of pain, an easy way to see if it’s caused by the veins is to put your patients in graduated compression stockings. If the pain goes away, then you know that sclerotherapy or treatment of the veins is going to make the pain go away as well. When you treat varicose or telangiectatic leg veins, you have to be logical and do it in an order. You can’t just hit or miss with vein injections and expect a good result. It would be the same analogy as if a patient had a skin cancer on the face—you would not just treat little bits here and there. When a patient presents with telangiectasias in one little area, you need to remember that telangiectasias are fed by deeper reticular veins all of the way into the deep venous system. Everything is connected. When Dr Goldman treats a patient, he doesn’t do a section at a time, nor does he bill by the amount of solution that he’s using. He treats per leg. 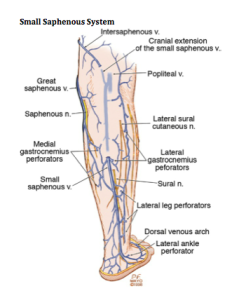 It is imperative that you treat the entire venous system in one leg in order to minimize the number of treatments. What gets us into trouble when we don’t know the anatomy is that we have to figure out where the veins are coming from. There are times when the veins don’t come from the incompetent great saphenous vein. Dr Goldman uses a duplex machine to determine where the veins are coming from. As Dermatologists, we tend to see the lateral subdermal plexus. When patients present with little telangiectasias on the lateral aspect of the thigh, which is very common, we must realize that it’s all coming from an incompetent reticular vein. You must treat the entire leg. If you leave a vessel open after it’s been injured, your body is going to reconstitute it and the endothelial cells are going to keep trying to reestablish the vessel. If you compress the vessel after you’ve injured it, you can decrease the extent of thrombosis, which decreases the risk of recanalization and pigmentation allowing for the vessels to go away quickly. Walking is another way to do compression. 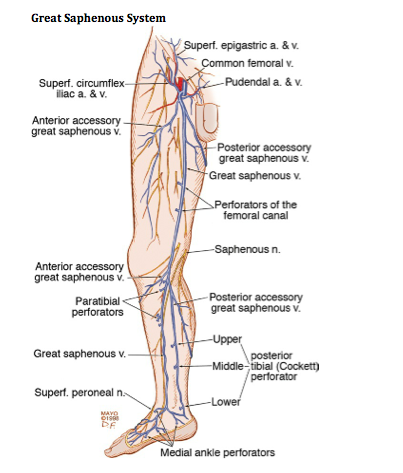 When you walk, you’re basically siphoning off the blood flow from the superficial venous system into the deep venous system and that’s doing a physiologic form of compression. You want to minimize the thrombosis as best as you can. You want to have patients who are going to follow your directions as compression really does improve outcomes. Dr Goldman only uses thigh-high stockings for the patients. He stocks them in his office because the pharmacies and medical supply offices do not always know how to best measure for stockings correctly. The stockings must be applied immediately after treatment. Sclerotherapy is a controlled thrombophlebitic reaction that began hundreds of years ago. There are two solutions approved by the FDA that can be used—sodium tretadecyl sulfate (STS) and polidocanol (POL). Glycerin is also an approved solution. When you start injecting a vein, you have to go back to your high school physics. You have to fully inject until you stop seeing solution in the vein because once you stop seeing where the solution is flowing, it’s flowing deep—where you don’t particularly want it. 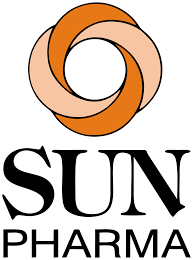 Detergent solutions (sodium tetradecyl sulfate and polidocanol) are very efficient. They strip off the proteins from the endothelial cell causing its destruction. You can see, from the biopsies above, that there is a total wipe out of the endothelial cells. 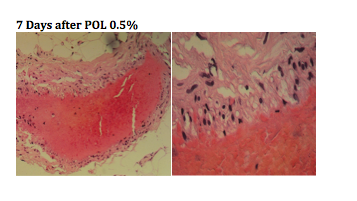 Using the same dosage of polidocanol, we don’t see the wipe out of the telangiectasia, it basically just attenuated the endothelium. When you’re using STS versus POL, the concentration is essentially two to one. POL is one half of the potency of STS. Both solutions are very comparable in efficacy. Dr Goldman does NOT use hypertonic solutions for a few reasons. Osmotic agents like HS hurt and they only act within their osmotic gradient leading to a much higher risk of recurrence as well as pigmentation and pain. Glycerin, in and of itself, is a hypertonic solution, but it is very safe. Dr Goldman has never seen pigmentation or ulceration from it. It is available and can be compounded from a USP pharmaceutical grade glycerin. Glycerin has comparable efficacy with less adverse effects. Dr Goldman usually adds lidocaine to the glycerin; the lidocaine does not affect the efficacy of the glycerin; however, it does minimize the pain. 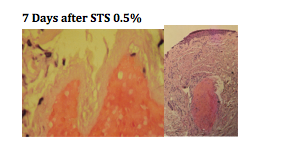 Compounding solutions are not to be done in sclerotherapy. This can open up an amazing amount of lawsuits that will not be defended by your malpractice. Why does Dr Goldman use compounded glycerin? It has proven to be very safe and is basically the same product that neurosurgeons are using in the brain for cerebral edema. There are advantages to foamed sclerosants. They are increased in volume but the total sclerosant injected is decreased. The highest concentration contacts vessel walls causing total obliteration of the vessel. There is a very slow washout and long contact with the intima. The only problem with foaming is that one third of the population has patent foramen ovale causing the foam to go into the arterial system. It is very safe to foam and it is safe to have nitrogen bubbles in your body. Dr Goldman has been using foam for twenty years and has only had two patients complain of a headache or slight loss of vision for just a few seconds. You really have to look at your patients and evaluate the results. Taking photographs is very important. It is important to have good communication with your patients in order to set realistic expectations. In thirty years, Dr Goldman has never had major problem; however, allergic reactions and anaphylaxis can occur, so you must be prepared with resuscitation equipment. You should have an office protocol in order to deal with emergency situations. Recognize earliest bleb formation and stop! Again, the most important thing is that you do this logically. You want to eliminate the high-pressure reflux first. Treat the small varicose and reticular veins initially—associated telangiectasias should be treated on the same day. You want to treat from proximal to distal and treat the entire length of the vein in one session. Dr Goldman follows up with the patient six months post-procedure for maintenance.